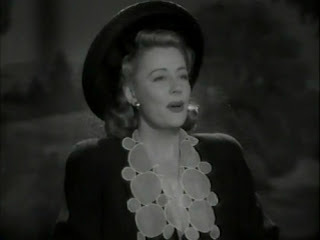 The Irene Dunne Project: Detour (not really) - The Music in "Unfinished Business"
Detour (not really) - The Music in "Unfinished Business"
How the music in "Unfinished Business" is handled deserves some extra annotations which would have gone beyond the scope of a normal review. Irene and her character Nancy have something in common - their wish for an opera career. 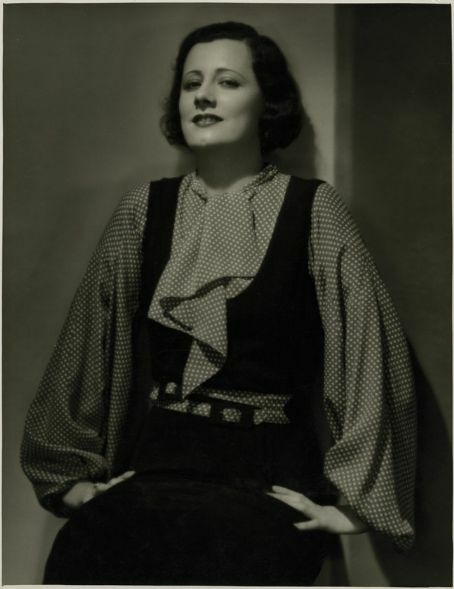 On-screen, Irene was two-times presented as an opera singer, at first in "The Great Lover"(1931) and the second time in "Stingaree" (1934). Especially interesting for the choice of music in "Unfinished Business" is the "Great Lover." I can't imagine that the selected repertory was a coincidence because it's a "Dunne qoute." Irene gets to sing "I Love Thee" a song by Edvard Grieg in the opening sequence of "Unfinished Business" which is paralled by a rehearsal with baritone Jean Paurel (Adolphe Menjou) in "The Great Lover." Here Irene performed - fitting to the scenery - a way more operatic rendition of the Grieg and sung it higher. In the audition scene of "Unfinished Business" - obviously on a real stage and with opera in mind - Irene is presented with "Voi, che sapete" Cherubino's aria from Mozart's "Le Nozze di Figaro." This aria is beautiful but not really catchy and a typical piece of music for beginners - not exactly a good choice to show your voice at an audition. Over and above she is contrasted by a coloratura soprano who starts - out of all thinkable options - with a remarkable interpretation of the "Shadow Song" from Meyerbeer's "Dinorah." Coloratura soprano was the fach Irene studied at the Chicago College of Music, and, well, her choice for the college's annual contest was the "Shadow Song." Irene remembered this event in 1985 like this: "I was one of the three competiting medalists and sang 'The Shadow Song' from 'Dinorah.' When I hear it performed today, I can't believe I sang it because it's so coloratura." With those brilliant coloraturas in the background, Nancy gets the following advice by her agent - "Don't be discouraged. 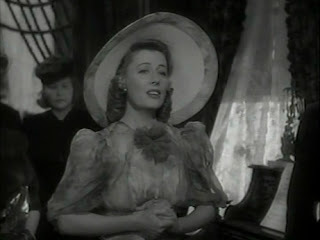 There are a lot of places for your type of voice..." Finding those "places" was precisely what Irene Dunne did in real life. However, the next scene shows Nancy only as a singing telephone operator which is almost a little bit fresh but very funny. This humor works because Irene could really sing - for the public in this era she was a long established singer - and could have done better than this anytime. Thanks to the fan magazines the public knew something about the background of their stars and as for Irene a couple of years rumors about an alleged season at the MET were around. Those correlations between on- and off-screen are a steady, striking element in Old Hollywood films, and one reason why I love the movies of this era so very much. 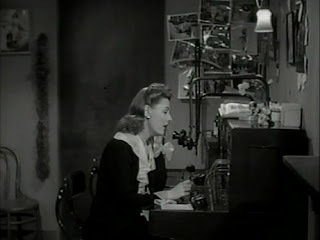 "Unfinished Business" is a wonderful example for this method of work - Old Hollywood at its best! And here is the music!